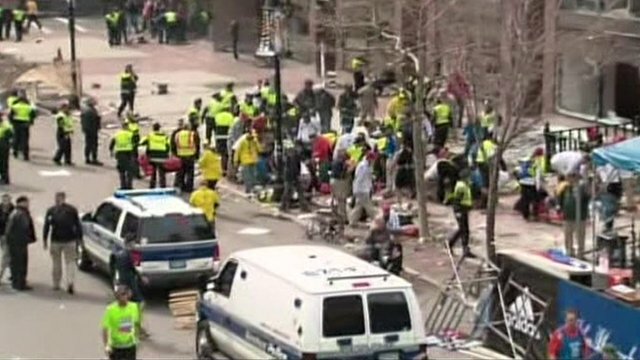 Moment of Boston explosion Jump to media player The moment of the first of two explosions at the Boston Marathon was captured by television crews covering the event. 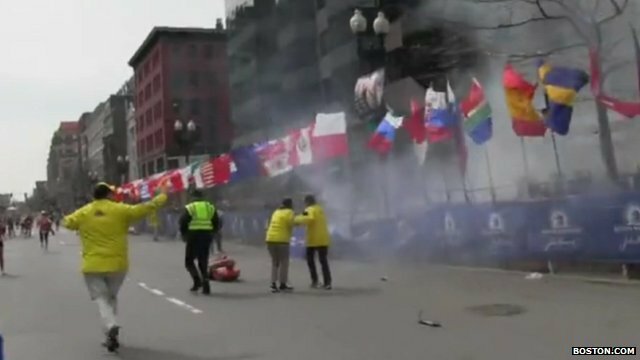 Reporter films Boston explosions Jump to media player David Abel of the Boston Globe has spoken to the BBC about the scene he filmed at the finish line of the Boston marathon as two blasts erupted. 'I heard explosion after finishing run' Jump to media player British runner Stuart Singer has said that the point where the bombs exploded at the end of the Boston marathon was by the family 'meet-and-greet' area. 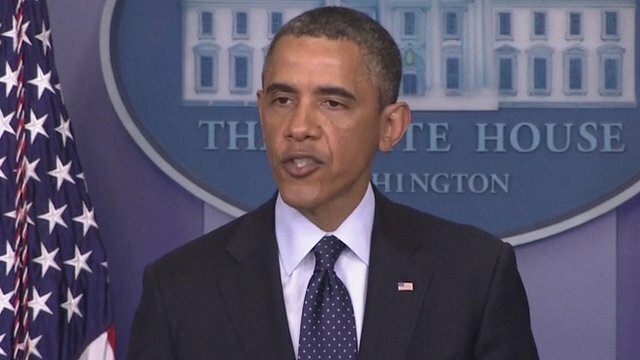 Obama: 'We will find out who did this' Jump to media player President Obama has spoken about the twin explosions at the Boston marathon and said that "we will find out who did this and hold them accountable". 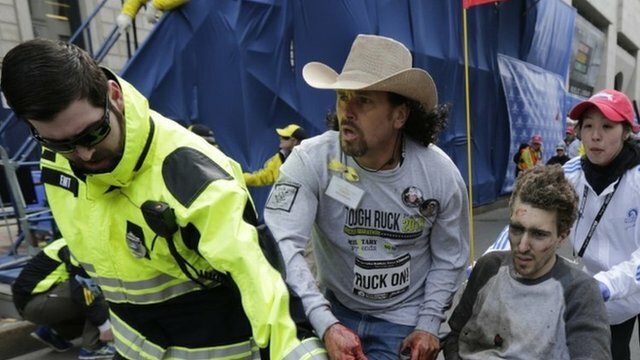 Blast left 'blood in the streets' Jump to media player Veteran Bruce Mendelson saw the explosions and gave first aid to the injured. 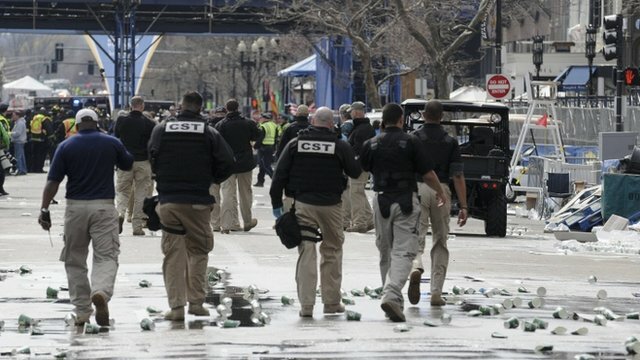 Police warn Boston public to stay indoors Jump to media player The commissioner of Boston Police has warned people to stay indoors after a series of explosions across the city. 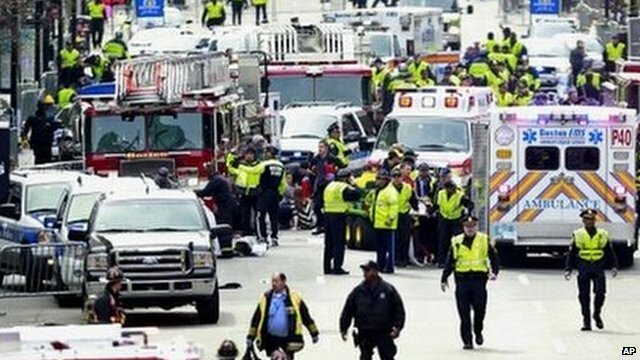 Boston explosions: 'Everyone panicked' Jump to media player Two people are killed and 23 injured as twin explosions at the finish line of the Boston Marathon cause chaos and confusion. 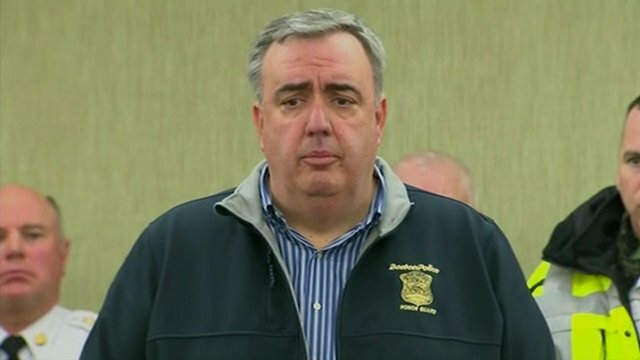 Student heard 'loud booming sounds' Jump to media player Taylor Dobbs a journalism student in Boston told the BBC "there were two very loud booming sounds and I ran out on to my back porch to see if there was anything going on". 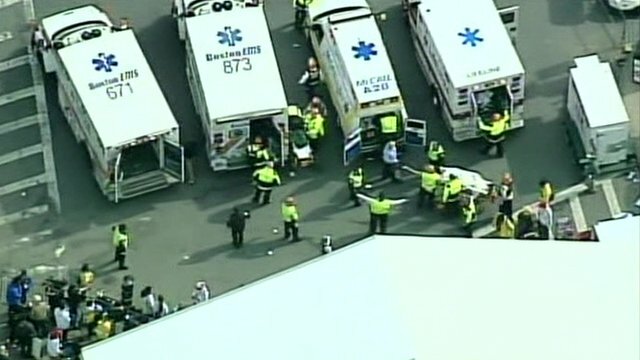 Boston Marathon hit by bomb blasts Jump to media player Two explosions injure a number of people at the finish line of the Boston Marathon. 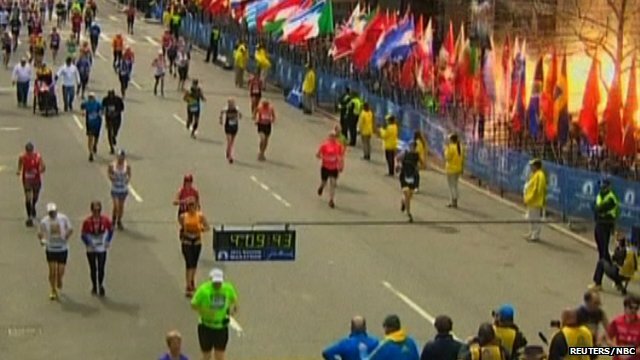 Boston Marathon hit by explosions Jump to media player Two explosions at the finish line of the Boston Marathon race have left an unknown number of people injured. 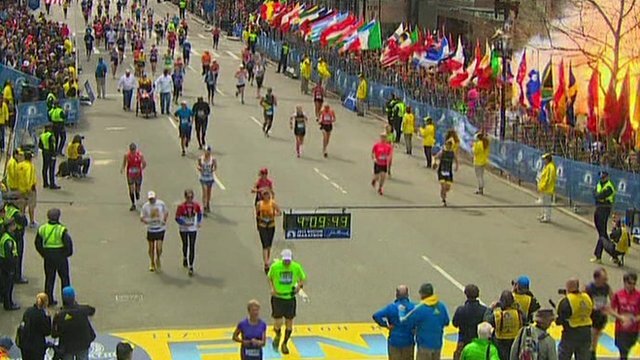 Two explosions at the finish line of the Boston Marathon have left at least two people dead and a number of people injured. The moment of the first explosion was captured by television crews covering the event.